The easiest way to jazz up your outfit is with accessories, and at under $50 a pair, Shashi earrings are a must for easily updating your go-to look. This season, embrace a blast of color with green, pink or purple drop earrings featuring tribal inspired embroidering and fanciful adornments. 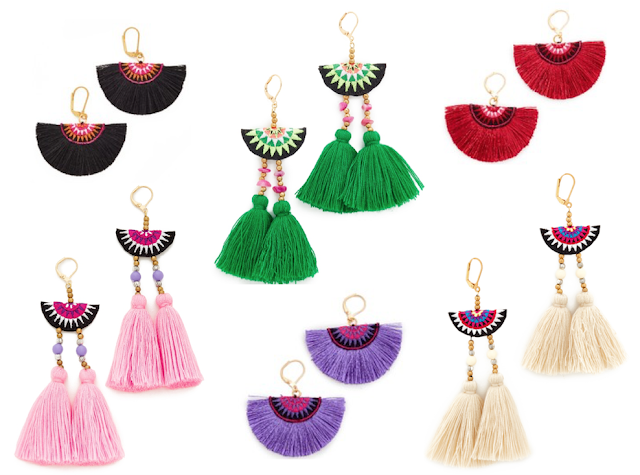 If tassels and fringe aren't your thing, spice up your look with colorful pom pom earrings that will make you look ready to dance all night.